Tomorrow I have to go to Minneapolis. 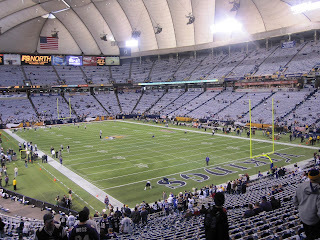 By now, if you care about football at all, you know that the Metrodome roof collapsed due to the 17+ inches of snow that fell over the weekend. 17+ inches of snow and 20-30 degrees below zero is what I'm hearing to expect. **** Hopefully temperatures rise and some of that snow melts in the next several hours. 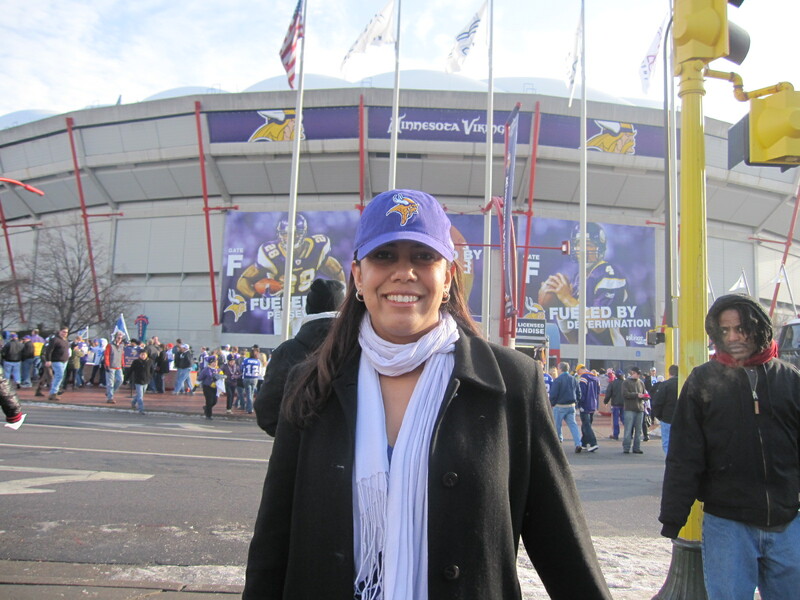 I'm in Minneapolis often, but I've only been to the Metrodome once. 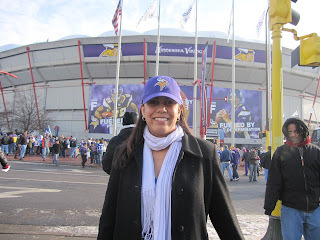 I was there in January 2010 for the NFC Wildcard game. Ironically, the weather was very mild compared to what the city had this weekend. 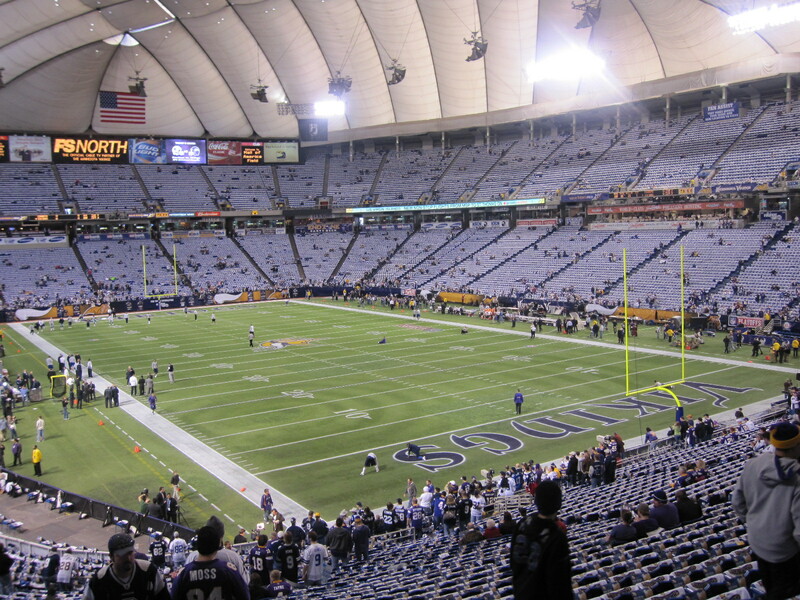 As a building, compared to the other venues I've seen, the Metrodome is struggling. It's visibly older and doesn't offer that much in terms of amenities to the fans. Vikings fans are passionate about their team though, so I'm not sure that they care. Usually, I can get a good look at roof of the Metrodome from my the office and/or my hotel. You better believe I'll be looking out the window tomorrow! My friend sent me a video of the Metrodome roof collapse. UNBELIEVABLE. Ironically, the video looks like it was shot from near the same spot where I took the picture, that I included above. It looks like Christmas has come early for football fans in Detroit, since the Minnesota Vikings will host the New York Giants at Ford Field at 7PM Eastern. It's been reported that free tickets for general admission seats will be given out on a first come, first served basis. If I was in Detroit, you better believe I'd be at the game!